In Christ is life, original, unborrowed, underived. 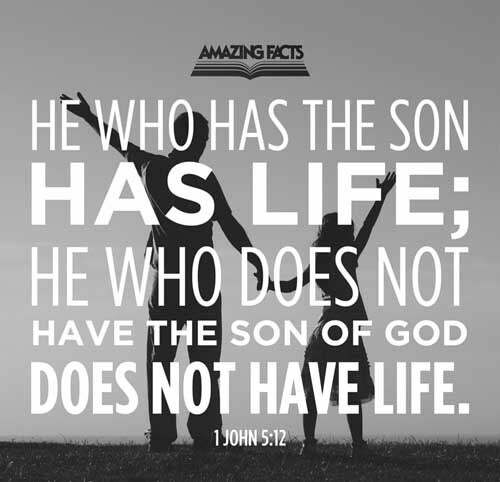 “He that hath the Son hath life” (1 John 5:12). The divinity of Christ is the believer’s assurance of eternal life. “He that believeth in me,” said Jesus, “though he were dead, yet shall he live: and whosoever liveth and believeth in me shall never die”.... Christ here looks forward to the time of His second coming.Jesus has loved men, and has made every provision that the blood-bought soul shall have a new birth, a new life derived from His own life.... “He that hath the Son hath life; and he that hath not the Son of God hath not life.” Those who believe in Christ derive their motive power and the texture of their characters from Him in whom they believe.